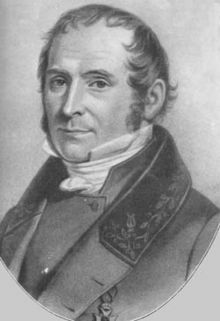 Elias Magnus Fries (1794-08-15 – 1878-02-08), Swedish mycologist and botanist. Fries, E.M. 1836. Corpus florarum provincialium Sueciae. I. Floram scanicam. pp. 193–346. Upsaliae [Uppsala]: excudebant Regiae Acad. Typographi. GoogleBooks Reference page. Fries, E.M. 1842–1845. Novitiarum Florae Suecicae Mantissa [mantissa tertia] 3. Lundae et Upssaliae : ex officinis Academicis. (online) Reference page. This page was last edited on 19 April 2019, at 01:15.